Optimal positioning with the C-Suite and other enterprise leaders to help ensure growth and sustainability of their internal consulting organizations. Key current and future areas of focus for internal consultants to provide maximum value and impact to the enterprise. 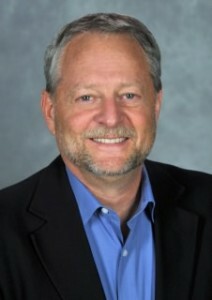 Gary Fischer is General Manager of Chevron Corporation’s Project Resources Company (PRC) Consulting Services Group located in San Ramon, CA. In this position, Gary is responsible for Chevron’s project management system, providing functional expertise to projects and support across the corporation’s worldwide major capital project portfolio. Prior to his appointment in January 2007, Gary held the position of Project Director with PRC for Eurasia, Europe and the Sasol-Chevron Gas-to-Liquid Global Joint Venture. In this role, he was responsible for staffing major capital projects with project professionals and ensuring those projects were developed and executed to meet business unit objectives. He also served on major capital project decision review boards and represented Chevron’s interests on key project related joint venture partner committees. A native of Colorado, Gary graduated in 1979 from Colorado State University with a Bachelor’s degree in Civil Engineering. That year, he joined Chevron’s Engineering Department as a Design Engineer in San Francisco, CA. 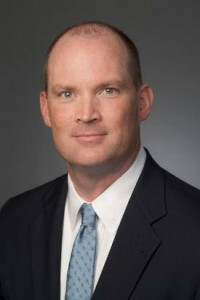 He has held numerous technical and leadership positions across downstream, chemicals and upstream including: Lead Engineer for a Shale Oil Semi Works Plant in Salt Lake City, UT; Construction Manager for a Dimersol Project in Eva Beach, HI; Engineering Manager for a Linear Low Density Project in Cedar Bayou, TX; Construction Manager of a High Density Polyethylene Project in Orange, TX; Project Manager of a Clean Fuels Project in Richmond, CA; and Benchmarking Manager for PRC in San Ramon, CA. He also served on the team that formed PRC in 1997 and in 2001 led a team on special assignment for Chevron’s CEO to develop and deploy an initiative targeted to improve Chevron’s capital stewardship. Gary is a member of the Construction Industry Institute (CII), the Engineering and Construction Contracting association (ECC), contributes to other related associations such as the Project Management Institute and serves on the Executive Board of the Association of Internal Management Consultants. Gary is married and has two children. 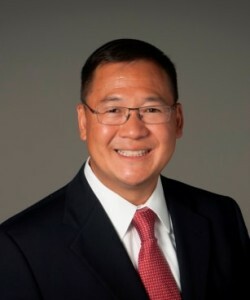 Dan Lee is Vice President Pfizer Consulting and Execution (PCE). The PCE team is a global internal management consulting team that focuses predominately on business strategy, strategy execution and complex problem solving. Typical engagements focus on developing a business strategy, identifying new revenue, developing and implementing more efficient operating models, or mitigating different types of risk. Dan has been with Pfizer for fourteen years and held numerous roles including Chief of Staff for Pfizer Diversified Businesses where he was responsible for the division’s strategy and operations. Dan has also held roles in business development as head of the Operations and Analysis department and Executive Director Transactions where he was a key member of the deal team that drove the $68B Wyeth acquisition and subsequent integration. Dan started his Pfizer career in Corporate Finance in the Treasurers organization focused on capital market activity and financial risk management. Prior to joining Pfizer Dan worked at the General Electric Co. starting as an engineer testing and designing military aircraft engines and moving into an internal consulting organization working on broad global cross-company corporate projects. He also has previously worked at the Applied Research Laboratory running the Spray Metal Forming laboratory while conducting his research. Dan holds a Master of Business Administration degree in Finance from New York University Stern School of Business. He also holds a Master of Science in Engineering Mechanics from Pennsylvania State University and a Bachelor of Science in Mechanical Engineering from the University of Michigan. Outside of work Dan is a sports fanatic and while after 16 years his passion for sports has not yet rubbed off on his wife, it certainly has on their three children. 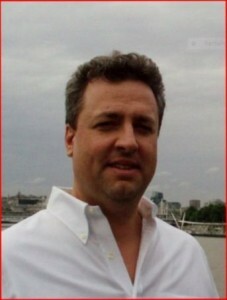 Prior to joining the Hunt companies in 2002, Berard was employed by Arthur Andersen, LLP, and managed multiple projects from Andersen’s Global Energy practice in Houston, Texas. While at Andersen, he consulted to global energy clients in the areas of business transformation and reengineering, M&A integration, strategic cost management and organizational optimization and design. In his consulting career, Berard has consulted to dozens of clients in the energy sector including oil and gas, power and utility companies. Before joining Arthur Andersen’s consulting practice, he spent three years as an energy economist employed by an international government. Berard serves on the board of directors of Power Capital Partners, a power generating investment company in New York. He is the author of articles in industry journals and books and has served as a speaker and presenter at energy-related industry events. Berard received a Bachelor of business administration degree from the University of Miami and a Master of Science degree in economics with honors from Bentley University. He is also a graduate of the University of Chicago’s Graduate School of Business’ advanced management program and a Doctoral candidate in Business at Georgia State University. Mike Holtschlag is a Senior Vice President and the head of Fidelity Consulting, a ninety person organization that provides strategy, operations, and technology-based management consulting services to all of Fidelity’s businesses, including its global private equity and venture capital units. Mike joined Fidelity in 2007 to develop and execute the strategy and planning processes for Workplace Investing. From there, he moved to Personal Investing where he initially led a finance team supporting PI’s distribution channels, then moved on to lead PI’s overall strategy, planning, and budgeting efforts. 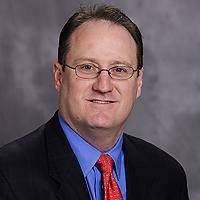 Mike joined Fidelity Consulting in 2013 to lead the consulting efforts provided to Personal Investing business unit. He was promoted to his current position within Fidelity Consulting last year. Prior to Fidelity, Mike spent six years as a Principal at The Boston Consulting Group, where he led a range of engagements from operations to strategy and corporate development. Mike began his career at Liberty Mutual. He received his B.A. from Harvard University where he played varsity football and his MBA from The Wharton School at the University of Pennsylvania. Mike lives in Hingham, MA with his wife and four children.